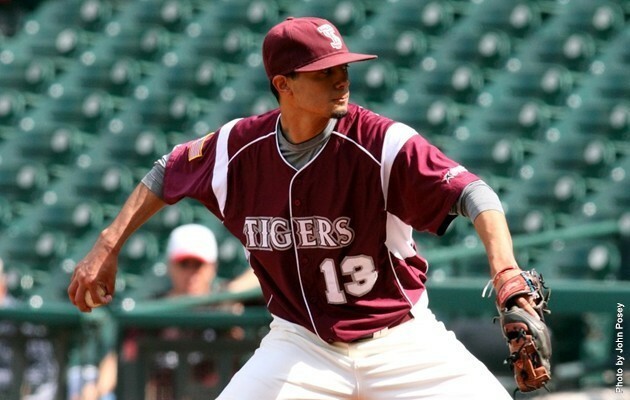 HOUSTON, TX – The Texas Southern Tigers finished the MLB Urban Invitational tournament with a 2-1 record. Their only loss came in the last game of the tournament against Alabama State. TSU scored first in the bottom of the 4th inning. Marquis Curry hit a single that allowed De’Mario Thibodeaux to score from third base. Alabama State tied the game at 1 in the 6th inning. In the 8th inning, TSU gave up a two run homer that put Alabama State on top for good. TSU fell 1-3. Starting pitcher Frank Cruz, IV got a no decision after going 7 innings with 9 strikeouts,3 walks and 1 earned run. Denzel Pipkin picked up the loss after pitching .1 innings with 2 earned runs. Curry led the Tigers with 2 hits. TSU will host Huston-Tillotson on Tuesday, February 26th at MacGregor Park at 3:00pm.